WE Real Estate Group – "We Have The Key To Your New Home"
Whatever you need in Las Vegas Real Estate, including Buying, Selling, Rentals, Commercial, or just Real Estate advice, call upon us and we will be excited to help you. Las Vegas loves WE Real Estate Group! Gerri and Steve are seriously some of the best I have ever worked with. They work for you and with you! I have used them 2 times now and I would totally use them again. They are honest hard working. I now live in another state and every agent I have dealt with just doesn’t live up to my standards after working with this sweet amazing couple. They truly are the best people in the business. Gerri and Steve helped me through my home purchase and was always there for my wife and I. My family and I have known steve and Gerri way back in 2011. We were looking for a house for when I moved out here to Vegas from The Philippines, my mom came out on her own to find houses , she did not have a car then so Gerri would pick her up and they would look at houses together. Gerri made her feel bery comfortable and secure. She couldn’t find one before her flight back but did not give up. Gerri would send her listing online. We finally found the perfect house that was in our budget. Gerri made my mom feel very comfortable and secure about her decision. She did everything online and fed ex’d any documents that needed the original copy and everything went so smooth with Gerri taking care of everything. In 2013 we moved in to the house and it was perfect! Forward to 2015 when I started dating my husband now and I wanted to move closer to his side of town. Gerri was amazing again at helping us find our current home, every weekend for about a year we would go out to look at houses I chose from listings. Gerri was always on time and so pleasant to be around, gave her honest opinion on some homes I did not feel too comfortable with and assured we would find the perfect one. We found it but we had to do a contingency deal to get this, we had to sell our old home. Steve took care of that very well! Going above and beyond to make sure I was okay and safe, any issues I had along the way especially my stubborn neighbors who refused to move their boat that was party parked on my property. He made the right calls, got the notice and talked to them multiple times personally to get them moving so I could sell my home. With all the hard work and persistence we were able to sell it. All of this was going on the same time there were about 5 offers on my current home now, Gerri was very efficient and professional represting me and made sure our offer was accepted. I am beyond grateful to know these two and will continue to only use them for anything regrding real estate. I have also recommended them to several of my friends and family who are looking for a place to stay and they have nothing but positive things to say about this power couple. They have shown they go all the way to help and are now considered part of the family. We Real Estate Group is amazing! They work hard to get the job done. I highly recommend We Resl Estate! Steve and Gerrie are dedicated and hardworking. Filled with kindness and love for their clients yet relentless to get the job done. Don’t pass these folks up. You want results....then go with the best! WE Real Estate!!! This is a dynamic, hard working, honest couple. They offer years of experience and expertise. It was such a privilege to work with them and observe their integrity and commitment to their profession. Love both of them! The Best!! Very knowledgeable, reliable, hard working people! We appreciate all they have done when it came to buying a house here in Vegas, and looking forward to working with Steve and Gerri next October when our house is going on the market. They are so kind and professional! Gerri and Steve are the ONLY Realtors we will use! Honest and reliable! Two of the finest people I have I have ever known!!! Simply put they are the best. Went out of their way to find us a great home to rent. near my brother. When its time for me to buy a home there is no question I will be using them. They really care and connect on a personal level. I have dealt with other good real estate agents before but none with the service of quality they provide. Its almost as if you were buying a home from yourself only with the knowledge a good agent has at the same time putting your best interest above their personal gain. WE Have The Key To Your New Home! 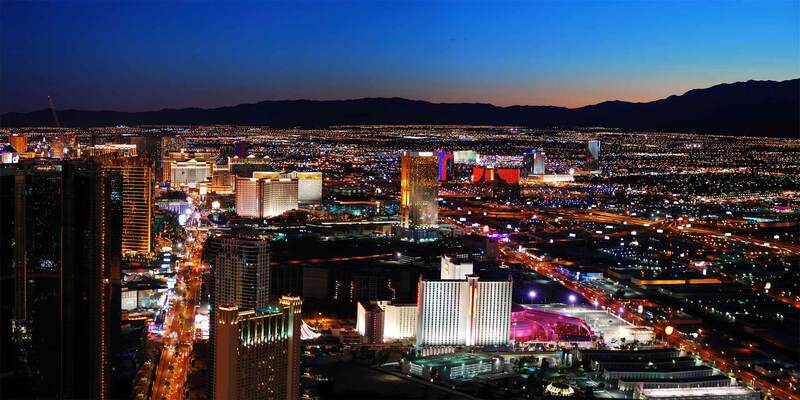 We have been top Las Vegas negotiators for their clients as realtors since 1999. They started in Las Vegas real estate in 1988 when they were buying vacant land and building custom homes and negotiating commercial deals for their family businesses. Both Steve and Gerri were born & raised here in Las Vegas and by growing up here they have in-depth knowledge of Las Vegas real estate and the surrounding communities like Seven Hills, Green Valley, Green Valley Ranch, Anthem, Lake Las Vegas, Mountains Edge, Red Rock, Summerlin, Southern Highlands and Aliante, and are the elite dynamic duo team. They are both considered experts in all communities by both their peers and their clients. WE Real Estate Group strives to develop long lasting relationships with all of their clients. Our Team never views our clients as a one-time sale. We make them a lifetime client. Our clients are our future to success. updates to your home search and more! We hate spam too and will never sell or share your information.